I work in my sewing room a lot. Whether I'm standing at my long arm quilter or sitting to piece my quilts or clothes for the children, after a long while the same position does wear on my arms, neck and back. 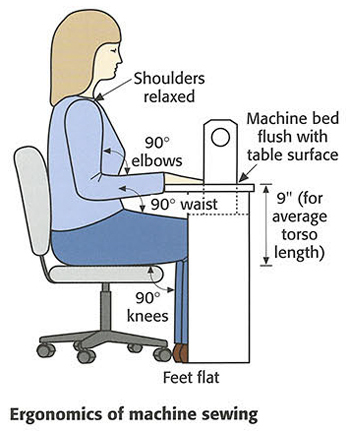 Here are some finds on Ergonomic Products for your perusal. What do you do or use to stay comfortable while you sew for long periods of time?